When we started Cash 4 You in 2001, we set out with one purpose — to help hard working Canadians just like you get the financial assistance they need, easily and quickly. Almost 20 years later, this remains the driving force for why we do what we do. At Cash 4 You, we strive to be Canada’s one-stop shop for all money solutions.While we specialize in providing fast, same day approval for short term loans like payday loans and installment loans, we offer other money management services including money orders, cheque cashing, domestic and international money transfers. 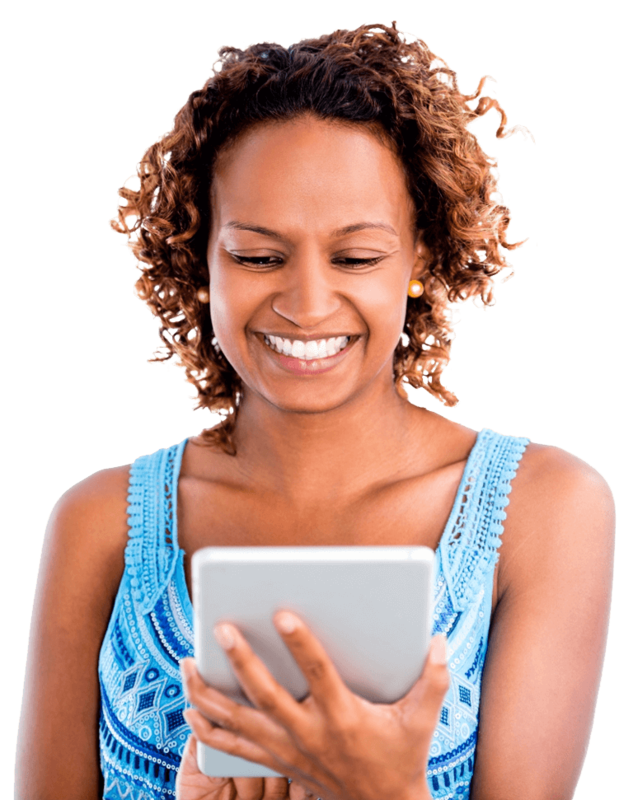 When you need cash fast and don’t want to go through banks or other financial institutions, short term loans with Cash 4 You are a great way to get funds instantly. Cash 4 You is one of Canada’s leading licensed money lenders with more than $1 billion in funded loans. Recognized by the Canadian Consumer Finance Association, and with almost two decades as a leader in the lending industry, we have become Ontario’s trusted source for short term loans. With more than 100 locations throughout Ontario and our instant loans online, we make getting the cash you need easier than ever. Whether you need $1,500 or $15,000, it is as simple as filling out an online loan application or visiting us in one of our stores to apply in-person. Our friendly, knowledgeable team will be happy to help you get the money you need for a big purchase, to fund an event, to pay a bill, or simply to use on everyday items until payday. No matter the reason, we make the short term loan process easy, stress-free, and convenient. Stop into one of our 100+ locations today and let Cash 4 You get you the fast cash you need now! As you know by now, we specialize in quick cash loans, but we offer so much more. As one of the top loan companies in Ontario, Canada, we want to help our customers manage all aspects of their financial livelihoods. Along with offering easy and fast approval for short terms loans like payday advances, installment loans in larger amounts, we can help you get foreign currency at the best rates for an international vacation, or provide you with electronic bill payment options for secure payouts to more than 5,000 companies. We have partnered with Western Union so you can purchase money orders and transfer funds in Canada and beyond. As Canada’s leading money lender, our money loans and financial management solutions are designed to help anyone and everyone, no matter their credit history. Along with providing personal loans and other money management services, we are dedicated to providing unmatched convenience. To do this, we have more than 100 locations spread throughout Ontario, so that anyone can access the funds they need, when they need it most. If you need a short term payday loan, simply fill out the online application and get your money instantly upon approval and verification. While we do require all customers to pick up their installment loans cash in-person at one of our Cash 4 You stores, we offer a convenient online application process for instant loan approval. Plus, there are no forms to print out, no bank account required, and we will never place a hold on your cheque. What’s more, we understand that not everyone can make it to one of our locations during “regular business hours.” Cash 4 You is open seven days a week, and we offer extended business hours so you can come in when it’s convenient for you. Additionally, we offer online lending services and money management services so you can apply for a short term loan, pay a bill, or transfer money. At Cash 4 You, we make convenience a priority. Beyond our dedication to convenience, we are fully committed to providing exceptional customer service. We know that managing money and applying for loans can be stressful which is why we do our very best to make each and every customer to feel welcomed and at ease, no matter which of our money management services they are using. All of our experienced and knowledgeable money lenders will work with you to get you the money you need while helping you understand every step of the process with full transparency. But don’t just take our word for it — read our reviews to learn what our customers are saying about Cash 4 You. We are wholly devoted to providing Canadians with fast, friendly, knowledgeable customer service, and it shows in our positive reviews — more than 600 and counting. As Canada’s Top Rated Local® short term loans lender, we are proud to fund Ontario’s hard working residents with instant, affordable, and uncomplicated short term and long term loans, no matter your financial background. Cash 4 You can assist you in getting the money you need with our hassle-free personal loans. Sometimes, an unexpected expense can come up before payday. Whether it is a bill that has suddenly come due, or you just need to get a few everyday items before payday, a short term loan can really help when you’re in a pinch. At Cash 4 You, we offer two types of instant cash loans: payday loans and installment loans. While both of these loan types are designed to be available to everyone, regardless of their financial history or credit history, they are slightly different. Payday cash loans, or short term loans, are generally for smaller loan amounts up to $1,500, although loans will be determined after you are approved. These loans provide quick funding — without having to put up any collateral — for emergency expenses that are designed to help you make ends meet until your next paycheck. A Cash 4 You cash advance allows you to borrow money quickly against your paycheck, giving you the money you need instantly. Installment loans are typically for larger amounts of up to $15,000, which are designed to cover personal expenses for big purchases, debt payoffs, or life events such as a wedding or vacation. These personal loans are considered “unsecured loans,” as you do not need collateral to borrow money. While these can be considered short term loans, depending on your repayment terms, these are generally paid off over time up to 60 months. As with payday cash loans, you can get quick approval and same-day cash with installment loans. Getting short term loans is incredibly fast and easy. All you need to do is visit Cash 4 You online to begin the online loan application, or visit us in-person at one of our 100+ locations in Ontario, and apply! It’s that easy! Simply choose the loan type, either a payday cash advance or installment loan, apply, get approved, and get your money. These short term loans are designed to help anyone and everyone in need of emergency funds, regardless of poor credit or no credit at all. Like our payday loans, installment loans are designed to help anyone who needs to borrow money for a larger expense, no matter their credit standing or financial background. Whether you need to pay a bill or an emergency expense, cover a large purchase, or fund an event, a short term loan gives you the money you need, instantly, and without jumping through hoops to get it. While payday loans are typically for smaller expenses that can help when you are in a pinch, installment loans are excellent for larger purchases, home improvement projects, to cover wedding expenses, fund a vacation, and so much more. At Cash 4 You, we make repaying your short term loan simple and convenient. While your loan type and loan amount will typically determine your loan repayment terms, here are the general aspects you will want to know about a short term loan repayment. When you borrow up $1,500, your short term loan will be due on your next payday. You will be given an exact due date at the time of your loan approval. When your loan payment comes due, you will have the option of setting up an automatic deposit from your bank account when you get paid, or you can come to one of our Cash 4 You stores to pay off your loan using cash or a debit card. While you can absolutely repay your loan early, this does not affect your finance charge and you will not be charged an early repayment penalty. When you borrow up to $15,000 with Cash 4 You, your loan repayment terms will be determined upon approval. Generally, you will have up to 60 months to repay your loan in affordable monthly installments; however, if you take out a smaller loan — say, a minimum amount of $1,000 — these can be paid back in a shorter time period. Of course, you can talk with your loan agent about paying larger monthly installments towards your personal loan to pay it off sooner. Get A Short Term Loan From Cash 4 You In Ontario Now! When you need cash, don’t delay. Visit your nearest Cash 4 You location in Ontario, Canada, or use our online lending services to secure your quick cash loans of up to $15,000. Get the financial assistance you need without the hassle of going to a bank. Call today and get a payday advance or installment loan with Cash 4 You!